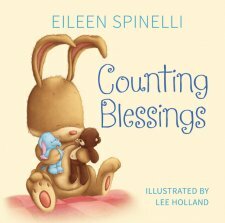 Counting Blessings is an adorable, soft, padded, board book by Eileen Spinelli. When this first arrived in the mail, even though this is meant for my youngest son who is not year a year old, my eight year old immediately wanted to read it. He read through it with ease, enjoying the colorful illustrations and rhyme! What I appreciate about this story is that it is not simply a counting book. 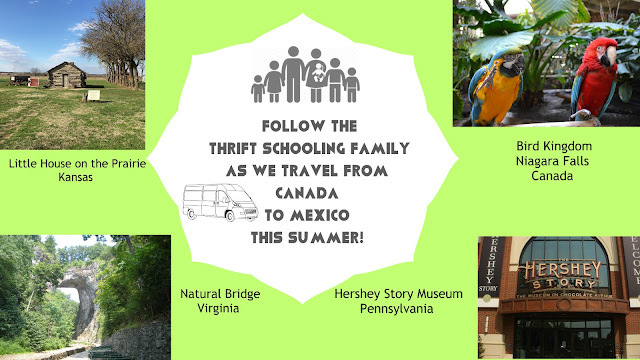 Even though in the beginning pages the author goes through and counts the bunny's blessings 1 -10, the story continues on and shares thankfulness for each of the seasons. She ends with the season of fall which makes this book perfect for Thanksgiving. This book is great any time of year but would be a wonderful gift for a young child at Thanksgiving time! The size of the book is a nice large size and the illustrations are bright and colorful, perfect for little ones. The font is thin and small and combines manuscript with cursive which could be confusing for beginning readers but overall this is an adorable book for any child! Disclaimer: Thanks to the Book Look Blogging Program for providing me with an advance copy of this book for the purpose of this review.